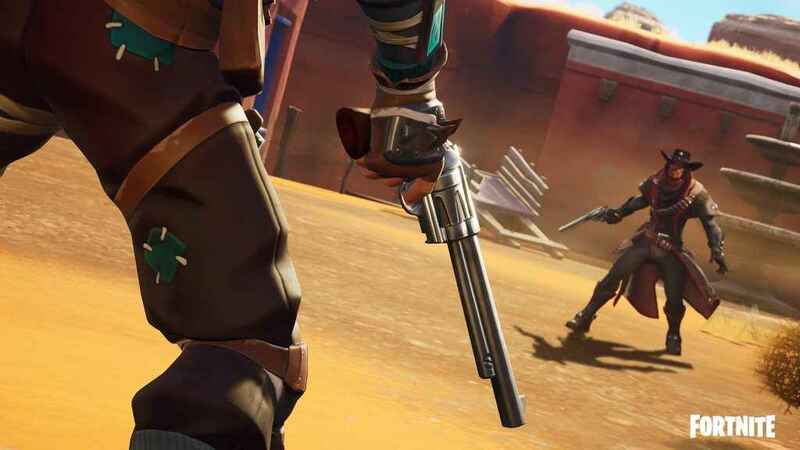 The rumoured Fortnite Wild West limited-time game mode has arrived as part of the game’s latest content update. However, it hasn’t enjoyed the smoothest of roll-outs. This is because Dynamite, a new throwable introduced alongside the Wild West LTM, has already been disabled. The reason being that Epic Games has seen an increase in client crashes since its arrival. The LTM itself, on the other hand, appears to be functioning as intended. I.e. forcing players into a life and death struggle with only a handful of ‘period accurate’ weapons (six-shooters, shotguns, hunting rifles, and eventually dynamite) at their disposal. Although meticulously-designed, lifelike horses remain conspicuous by their absence. Meanwhile, those that find these rules little restrictive/have had their fill of the old west courtesy of Red Dead Redemption 2, have the option of trying out a brand-new tournament instead: Scavenger Pop-Up Cup Duos. Full details of which, alongside the handful of changes made to the game’s Save the World mode (remember that?) are available on the Epic Games website.